MLB Network's Bleacher Features series begins tonight with "Cobb", a 1994 biopic about Hall of Famer Ty Cobb. A member of the Detroit Tigers for 22 seasons, baseball people often overlook the fact Cobb spent his final two major league seasons with Connie Mack and the Philadelphia Athletics. Forced to retire following allegations of game-fixing, Cobb retreated to his home in Augusta, Georgia following the 1926 season. After a set of hearings with Judge Kenesaw Mountain Landis he was cleared of any wrong doing and signed with the Athletics on February 8, 1927 for somewhere between $50,000 and $85,000. "If I had the ability, perhaps I could tell you this in better words," Cobb told a group of Philadelphia sportswriters during an annual offseason banquet. "I only want to say that I am happy beyond words to tell you that I will play next season for the Athletics." Cobb and Mack had been bitter rivals on the field for more than two decades, but now the two coexisted on a club that some writers pegged as the best in the American League. 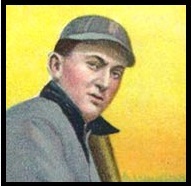 Once hated by Athletics' fans Cobb quickly became a favorite, using his tough and gritty style of play to lead the team in hits and stolen bases. He finished only behind Al Simmons on the club in OPS (.921), OPS+ (134) and RBIs (93) - he also ranked 10th in the American League in WAR (4.0). The Athletics finished the '27 season with a solid 91-63 mark, but were outclassed by the New York Yankees by 19 games. The fact that the Yankees ran away with the pennant by mid-August hindered attendance and forced Mack to cut payroll, so Cobb was let go two weeks prior to the end of the regular season. Cobb returned to the Athletics in 1928 but quickly became disinterested in his role as a reserve. The 42-year-old still had an impeccable eye, but his legs were all but gone and Mack had more athletic and younger alternatives for the outfield in Bing Miller and Mule Haas. Crotchety as ever, Cobb began teasing the younger teammates and alienated himself from the rest of the club. On the road he dined by himself and spent much of his free time in the hotel room. His final at-bat came on September 11, 1928 - a pinch-hit lineout to shortstop in the ninth inning of a 5-3 loss to the Yankees in New York. Cobb was inducted into the Hall of Fame in 1936 and remains one of the game's most intriguing historical figures. "Sure, Cobb's a prick, but God Almighty, how that old man can still hit and run," said Babe Ruth.